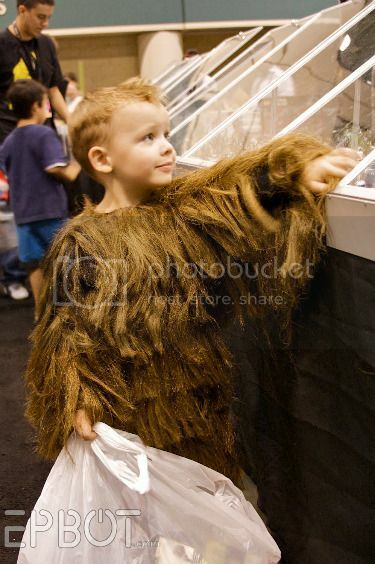 Holy hell, now I so want a mini-Chewbacca. Mostly to serve as my bodyguard against very small menaces. 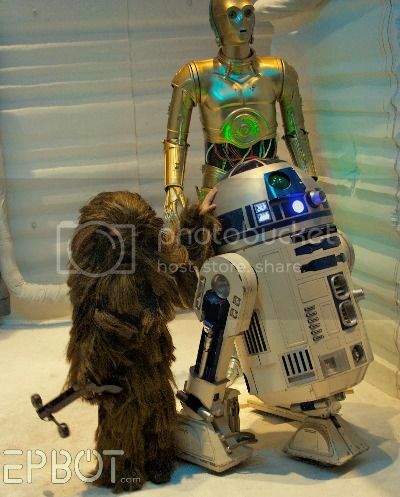 And also to make tiny, warbling Wookiee-howling noises. Check out the photo below, where the child has unmasked himself, thereby ruining the illusion. Personally, I would have considered scolding him, if he weren’t a friar-in-training. Via EPBOT, who would have joined a religious order at a young age if not for all the funny haircuts.